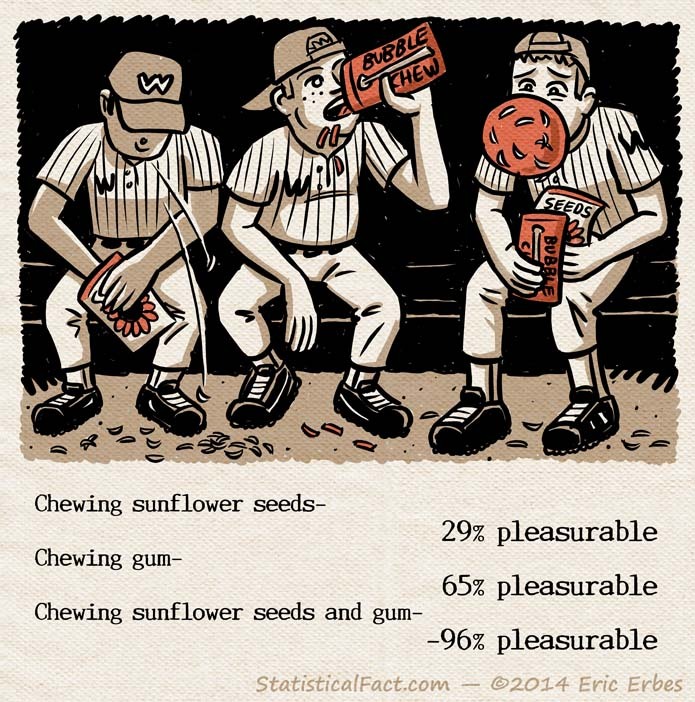 Chewing sunflower seeds: 29% pleasurable. Chewing gum: 65% pleasurable. Chewing sunflower seeds and gum: -96% pleasurable.